In case you hadn't already heard, Minecraft is out on the Nintendo 3DS. While having Minecraft on 3DS is pretty awesome it will unfortunately not be getting the Better Together update. For those unfamiliar, the aforementioned update will be unifying Minecraft across consoles, Windows 10, and mobile devices. 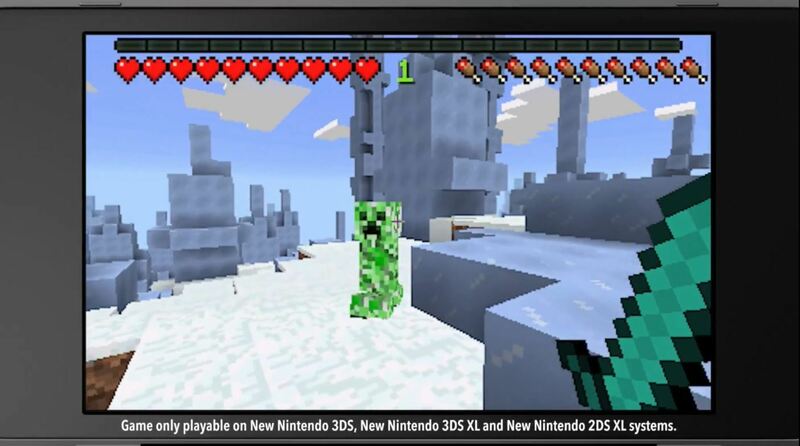 It seems, however, the 3DS version of the game will be using its own custom version of Minecraft. This means the game will be limited to local multiplayer on the portable console, but it's pretty awesome seeing it on 3DS at all.